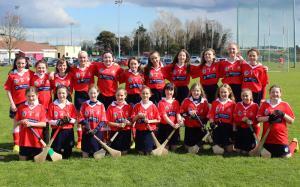 Well done to our U12 Camogie team on their excellent display against St Judes on Saturday! Naomh Brid Camogie fielded 2 teams in very sporting games and the skills and talents of the Naomh Brid girls was reflected on the scoreboard. Thank you to MC Financial for their sponsorship of the team jerseys.